Porcelain dental crowns are dental restorations that are used to strengthen or replace a single tooth. Maybe you need to a dental crown to support a tooth after it has endured considerable decay or trauma. Or, you may be considering replacing a single tooth with a dental crown that is attached to a dental implant. If you need restorative dentistry treatment to improve the health of your smile, porcelain dental crowns offer many advantages. Here, Dr. Bruno Lemay, of Desert Dental Alternatives in Palm Desert, CA, discusses porcelain crown benefits. Crowns fabricated with dental-grade porcelain have a more natural look than those made from alloy metals. Your tooth-colored porcelain crown will also be carefully matched to the natural shade and shape of surrounding teeth. In all, your crown will blend in seamlessly with the rest of your smile. 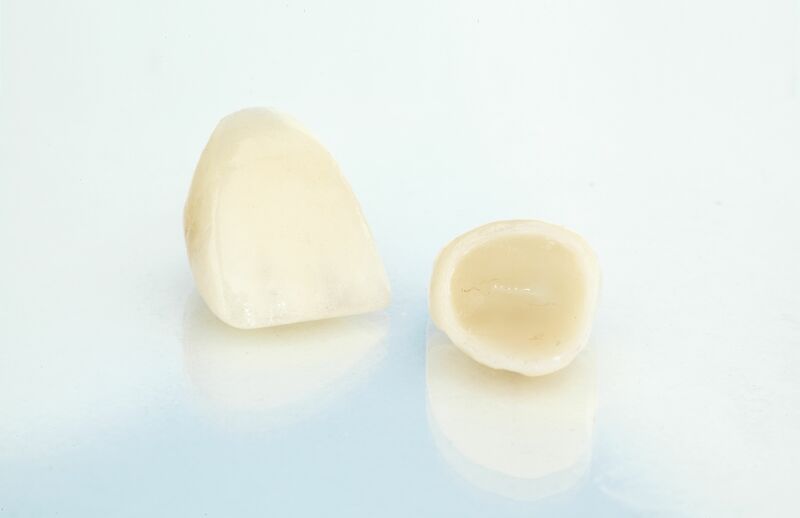 Dental-grade porcelain is not only natural-looking, it is also strong. This material can withstand a considerable bite force, and everyday wear and tear. In fact, dental crowns can last about 15 years if properly cared for with good hygiene routines. Porcelain is a stain-resistant material, so your crown will continue to look bright and natural over time. You can continue to drink your favorite drinks, like coffee and tea, without worry that your restoration will become dull, stained, or tinted. A traditional dental crown completely encircles a tooth. It is sometimes called a cap because it quite literally fits over a tooth like a cap. Because it offers 360 degrees of protection, a dental crown keeps the tooth healthy and fortified against further damage. A tooth that is damaged by extensive cracks, chips, or decay will cause pain and reduce functionality. You may not be able to chew as well, and in some cases, your speech may be affected. As a result, patients may not use the affected tooth or that side of their mouth when chewing. Over time, favoring one side of the mouth can cause bite imbalances. This in turn affects the jaw and adjacent soft tissues, putting strain on the area. By receiving a dental crown, you can use the tooth’s chewing surface fully, thereby equalizing your bite force throughout your mouth. Balancing out your bite can go far in alleviating bite-related problems such as TMJ (temporomandibular joint) disorder. By repairing a tooth and your bite, you stand to enjoy greater comfort when eating and talking. Additionally, porcelain has a smooth surface, so your restoration will feel comfortable in your mouth. A dental crown can do wonders for your oral health and the beauty of your smile. Find out if this treatment can benefit you by contacting us online or by calling us at (760) 324-4450.